From a new garage to a new addition, a kitchen remodel or an entire home, Kratt Lumber has been the builder's and homeowner's choice for decades. Everything you need, everything you want, is right here along with expert service and expertise from the owners themselves. Let's get the dream done. And done right. Locally owned, National Brands, And Expert Advice. Kratt Lumber has everything you need for the "Do-It-Yourselfer" to the construction specialist. If we don't have it (hard to beleive!) we'll find it and get it for you. If you need advice, the owners are happy to provide. We are the oldest and most experienced building and lumber company in the area. We've got sawdust in our veins and a passion for building. 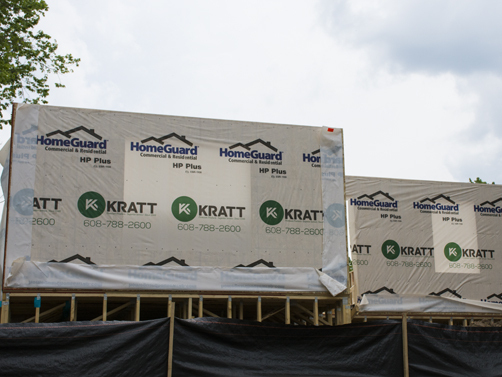 Kratt Lumber only carries the best national brands that are guaranteed and warranteed. Kratt Lumber. This is where you start.